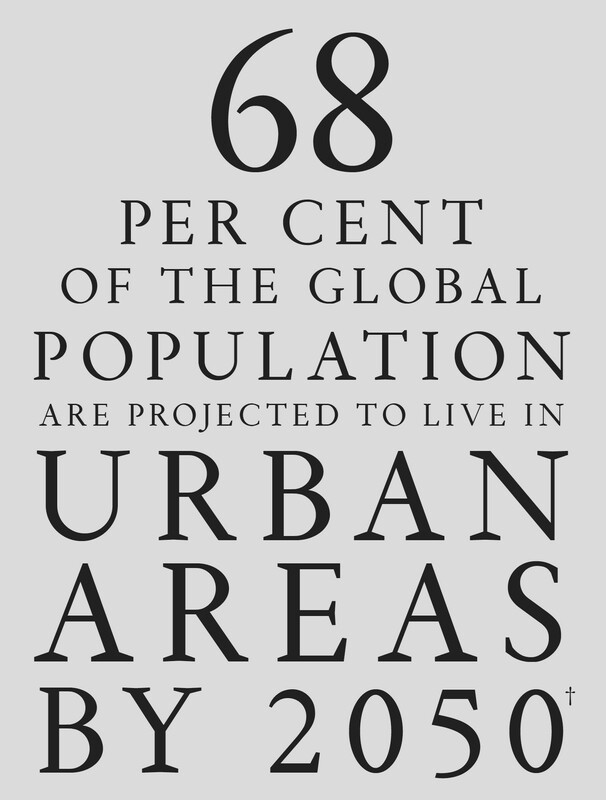 Today, 55 per cent of the global population lives in urban areas and this number is set to rise. In fact, two thirds of the earth’s population could be living in cities by 2050, according to the United Nations’ 2018 Revision of World Urbanization Prospects report released in May. “In the past 25 years, the population of the world’s cities has almost doubled, but in less developed countries the urban footprint has more than tripled,” says Ben Bolgar, Senior Director at The Prince’s Foundation and Visiting Fellow at Kellogg College, University of Oxford. The results of this phenomenon are all too clear. India’s precipitous urban expansion was recently described as “messy” at a United Nations Human Settlements Programme (UN-Habitat) summit: the country is shifting from 43 per cent to 50 per cent urbanised, with newcomers from rural areas often forced to settle on the fringes of cities without access to decent homes or basic services. 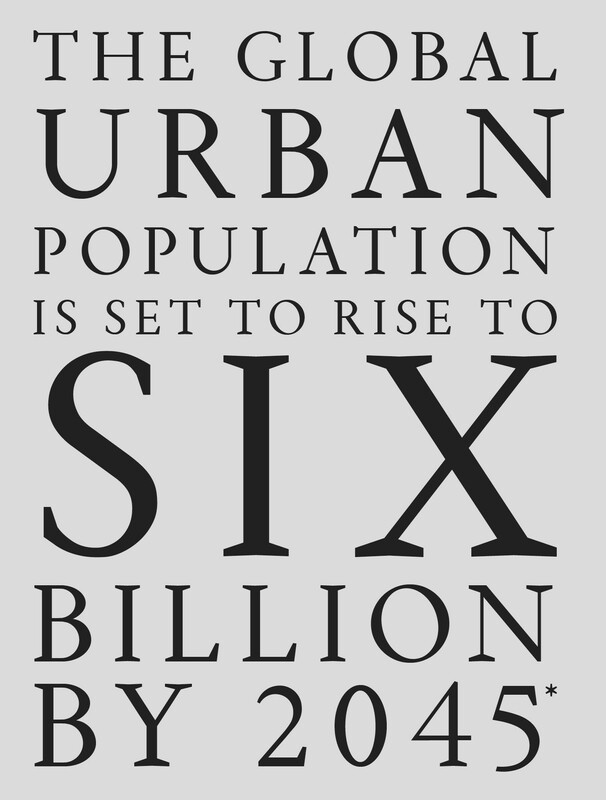 By 2050, it is projected that India will have an added 416 million urban dwellers. Meanwhile Nigeria will have an extra 189 million people living in cities in the same timescale. It’s home to Africa’s biggest megacity, Lagos, where the population has grown from under 200,000 people to around 20 million over just two generations. Here, the worst-off live cheek by jowl in polluted and dangerous ghettos such as Otodo-Gbame while, nearby, huge luxury waterside property developments such as Eko Atlantic are being built to host shiny skyscrapers that reach towards the stars. These new and ambitious developments come with their own environmental problems including coastal erosion, flooding and a significant generation of greenhouse gases. Also in West Africa, the Sierra Leonean capital of Freetown has informal settlements such as Kroo Bay, which lies below sea level and is therefore susceptible to flooding and inundation from toxic waste. Mudslides last year left hundreds dead in the city as slums were submerged or washed away. As the global economy grows, mushrooming cities in developing countries seem inevitable, but are there measures that can be taken to alleviate some of the pressures on urban environments? It was at a meeting at Clarence House in 2015 that government representatives from across the Commonwealth raised the issue of rapid urbanisation, highlighting a problem that was then addressed by HRH The Prince of Wales. “HRH asked us to see if we could develop a ‘toolkit’ that could be used to train planners and city leaders with the basic principles of good urban planning,” explains Bolgar. Working with Jeremy Cross, International Network Manager at The Prince’s Foundation, they have streamlined their experience into a practical toolkit, created in partnership with the Marron Institute – a part of NYU focused on urban planning and management. The toolkit was very much informed by their earlier projects and is not just a critique of the status quo: it provides simple and effective real-world solutions to problems and outlines a plan of action when it comes to future-proofing cities. Seeking to put placemaking and common sense at the heart of how expanding cities are managed in a more sustainable way, the toolkit’s goals are long term; it’s about looking to the future as well as dealing with today’s emergencies. The core idea is to accept that cities have to grow but that any growth should be as manageable and eco-friendly as possible, ensuring that both the existing and new residents of a city will be able to live comfortably and prosperously. Presented as a single, neatly designed and easy to understand PDF, the overview document lists six steps as a response to rapid urbanisation: define a vision for growing the city, map the city, identify areas for growth, structure the growth areas, implement an orderly urban structure and plan neighbourhoods. Each of these is broken down further into four or five activities. For example, the section on structuring growth areas helps to ensure neighbourhoods are more liveable. Specific advice found within the toolkit includes planning and opening up natural green spaces; making neighbourhoods easier to traverse on foot by adding in pedestrian routes; and keeping housing near to hubs where schools and other services can be found. The emphasis is on courses of action that are practical and achievable – for example, when it comes to greening a city and saving on road-building in one fell swoop. “Rather than putting in expensive infrastructure up front, one technique is to use tree planting to map out the routes and boundaries – which is cost effective, can involve the community and is environmentally friendly,” explains Bolgar. Of course, there are plenty of positives about urbanisation and the benefits of agglomeration. Public transport, access to health and social facilities, sound housing, open spaces, a healthy environment – all of these are essential components of a successful functioning city. It’s essential that residents “buy in” to planning, feel welcome and relax in the knowledge that the city is working for them. Good urban design can help with all of this. With urbanisation unlikely to slow any time soon, this project – as with much of The Prince’s Foundation’s work – is a perpetual work in progress.